In today’s highly competitive industry, state –of- the- art infrastructural facilities give Eveready Group that extra edge to stay ahead of the game. 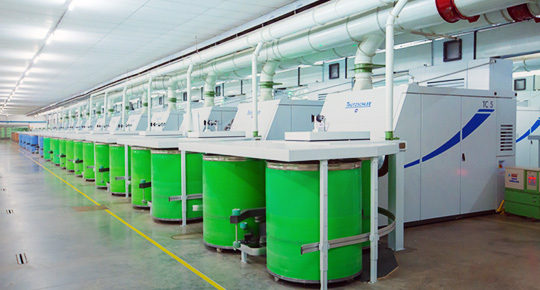 A wide range of equipment such as the Blendomat, contamination control systems in blow rooms, auto levelers in cards and draw frames, compact spinning systems, core spinning systems, slub spinning systems auto coners with individual splicers, yarn clearers with foreign fibre option polypropylene option help in ensuring the engineered quality and are instrumental towards timely delivery. A dedicated in-house quality assurance wing located in each mill, works round the clock with a sole aim to produce efficient products that cater to the specific requirements of every customer. The team of highly experienced and self motivated technicians and an equally trained work force, work in tandem to produce customer centric products with quick turnarounds. A specialized training department located in each unit imparts the required skills to the work team throughout the year in a structured manner. Technological innovations are constantly monitored and implemented appropriately. Yarn Clearer : Uster Quantum 2 and Quantum 3 with polypropyleneoption also. 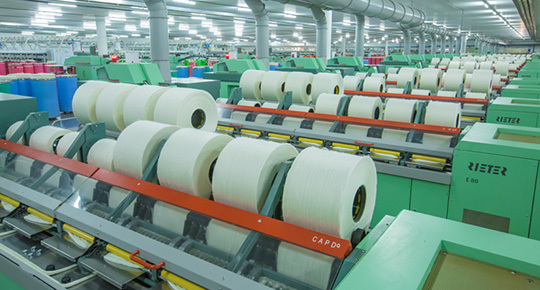 The Knitting division with a production capacity of 21,000 Kgs per day was started in 2006. 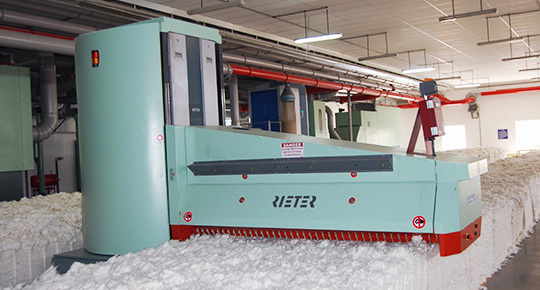 It houses imported Pailung&Unitex make single jersey knitting machines with Lycra attachments.